As a business owner, are you paying for business uptime or downtime? With a reactive IT support model, your IT support vendor gets paid when you go down. So not only did you pay them to set up your technology, but you are also paying them to fix issues causing your downtime. Not to mention the costs associated with downtime and these costs aren’t insignificant either. Gartner places the cost of a network outage at $5,600 per minute and as much as $7,900 per minute for a datacenter outage. Sounds like a game ender, no? Epsilon’s approach to Managed IT Services is different. First and foremost, by charging a flat rate for support, we sit on the same side of the table as our customers – you pay us for uptime, plain and simple. Next, we monitor your networks and devices to make sure they are working as they should. We also look for those errors that might indicate a larger problem and fix them before you go down in the first place! Finally, wouldn’t it be awesome if we integrated security services like AVG Anti-Virus and Cisco’s OpenDNS into this offering to ensure you are well-protected from viruses, spyware, and ransomware at no extra charge? We thought so too. So we did. We are here for you. Our Epsilon Solution Center is here for issue resolution 24x7x365. Warm bodies here at our headquarters with the breadth and depth of knowledge to solve your problem or work with a teammate to help come to resolution. 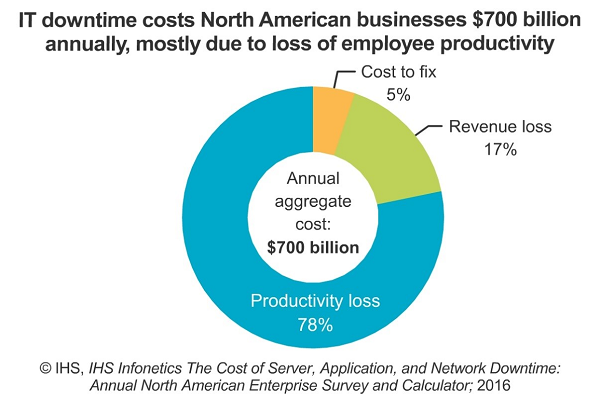 What’s the cost for your businesses downtime? Proactive Managed IT Services. It’s the Epsilon way.